Arts in the Arboretum will bring music and theater to Frontier Park starting Sunday, July 1. 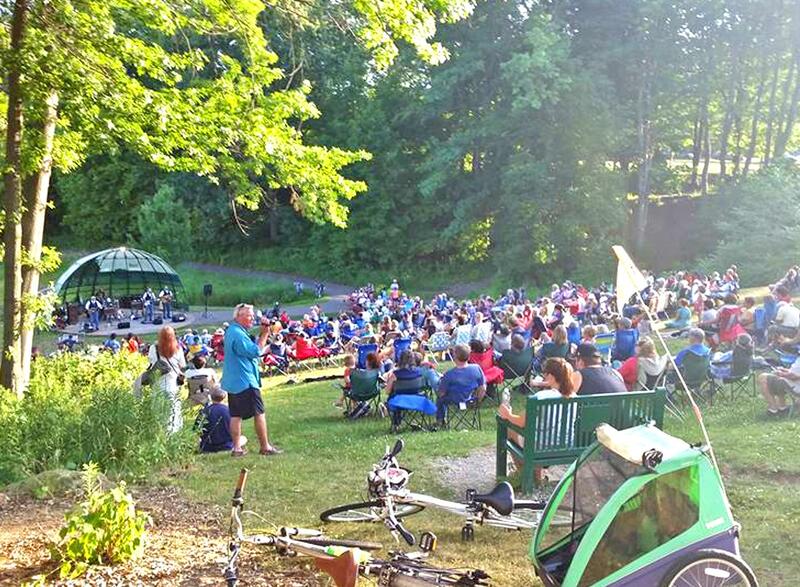 The free series will feature local musicians, poetry and a few Shakespeare Summer Nights presented by Gannon University's Theater Department periodically through Sunday, August 9 at the park's Patricia McCain Outdoor Amphitheater. Concerts are scheduled nearly every Thursday and Sunday. They include Jess Royer & McKenzie Lee Sprague on July 1, Tennessee Back Porch on July 5, Mambo on July 12, Me & The Boy on July 15, Bootlegger's Bible Club on July 19, Erie Philharmonic's Brass Quintet on July 22, The Vendettas on July 26, Acoustic Ear Candy on July 29, Abbey Road on August 2 and Rooftop Project on August 9. Sunday, July 8 will highlight poetry instead. The hour-long event called "Poetry in the Park" will function as an open mic session where people are encouraged to share poetry, short stories or songs. Gannon's Theater Department will bring its talents to the park from July 16 to 18 to perform Macbeth and again July 23 to 25 to perform Standup Shakespeare. In case of rain, the location will be moved to the university's Schuster Theatre.